Bryan Jester's voice is best described as warm, friendly, and neutral in accent. Wide-ranging in nature, he can easily accommodate your needs and has been the perfect choice for many different clients. Bryan is a full time Voiceover professional with decades of experience and training. He has been booking jobs with satisfied clients on Voices.com since 2009. Bryan can handle commercial, business, corporate, hard sell, acting, phone, IVR, character voices, long form narration, and eLearning voiceover with lightning fast turnaround time. He has been described as a pleasure to work with, able to take direction, striving for best results, efficient and professional—always providing the right style, pace and energy. Description of voice: Bryan Jester's voice is best described as warm, friendly, and neutral in accent. Wide-ranging in nature, he can easily accommodate your needs and has been the perfect choice for many different clients. 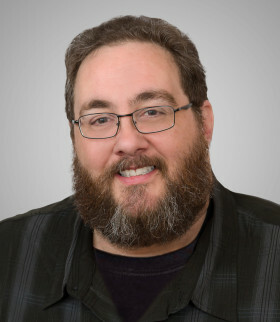 Bryan is a full time Voiceover professional with decades of experience and training. He has been booking jobs with satisfied clients on Voices.com since 2009. Bryan can handle commercial, business, corporate, hard sell, acting, phone, IVR, character voices, long form narration, and eLearning voiceover with lightning fast turnaround time. He has been described as a pleasure to work with, able to take direction, striving for best results, efficient and professional—always providing the right style, pace and energy. Audio Editing Experienced audio editor/producer of thousands of commercials, promos, audiobooks, programs, etc.